I had for sale this gorgeous vintage Conn Chu Berry alto sax: as you can see on the pictures the serialnumber is 223601 (1928). This Low Pitch instrument goes along fine with modern instruments. The famous Chu Berry horns are also known as the Conn ‘New Wonder’ Series II. As you will browse eBay you will find loads of vintage horns and with amazing low price tags. 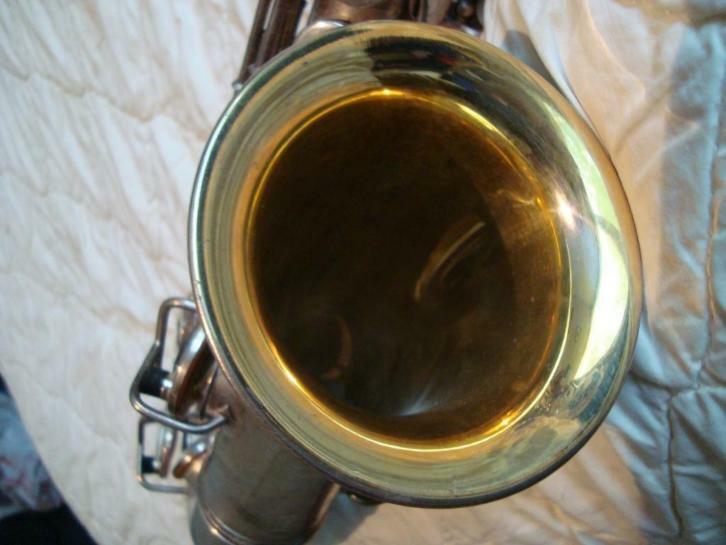 An overhaul on an unknown vintage horn may cost you more than an overhaul on a modern horn. It’s my advice to buy the best horn you can find instead of buying something that wil need work. This particular vintage horn is in excellent condition and had a recent overhaul by Dutch repair master Remy Veerman. This particular Conn alto had stayed in the case for a few months before I had a chance to play. It has that big phat 30s sound altoplayers love so much. That is partly due to the used materials. The alloys from the 20s and 30s were superb to the alloys used today. You can feel it when you hold the Conn: it’s a heavy piece of kit. Compared to a Selmer Mk6 (which IMO is sharper and lacks that full bodied top-to-bottom sound) the action is different and needs a bit getting used to. This Conn has flawless action. From the moment I picked it up I was able to immediately play it as it was one of my own horns. 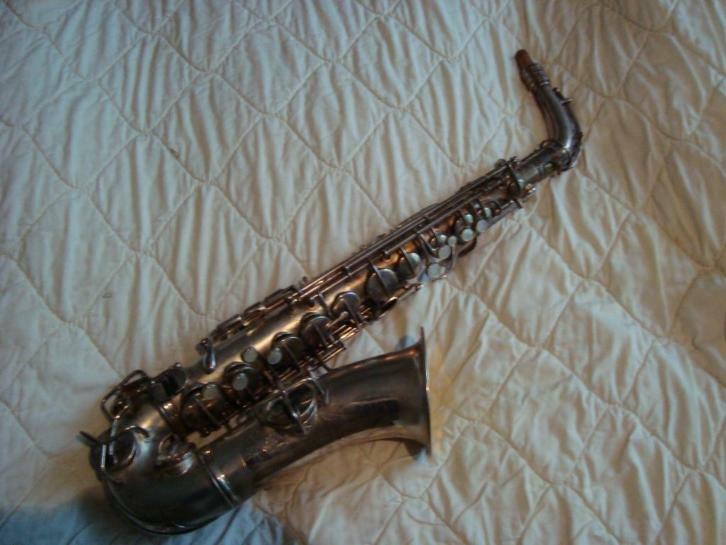 Are you looking for a vintage alto saxophone to play on a frequent basis: look no further and try a similar Conn, if you find one. 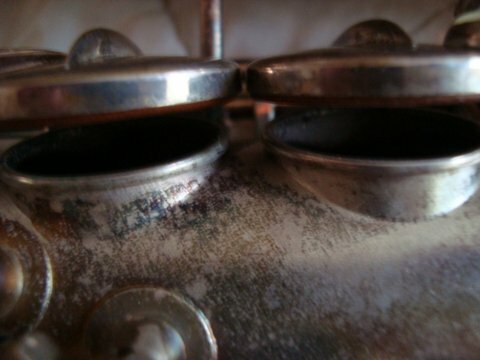 The inside of the bell has a glorious gold wash and the tonal holes are rolled. The microtuner works a treat and the G-sharp is easier to operate than on my (ex-Robert Veen RIP) 1926 Buescher True Tone. The sound doesn’t compare with my own horn though: this Chu Berry is so much fuller! 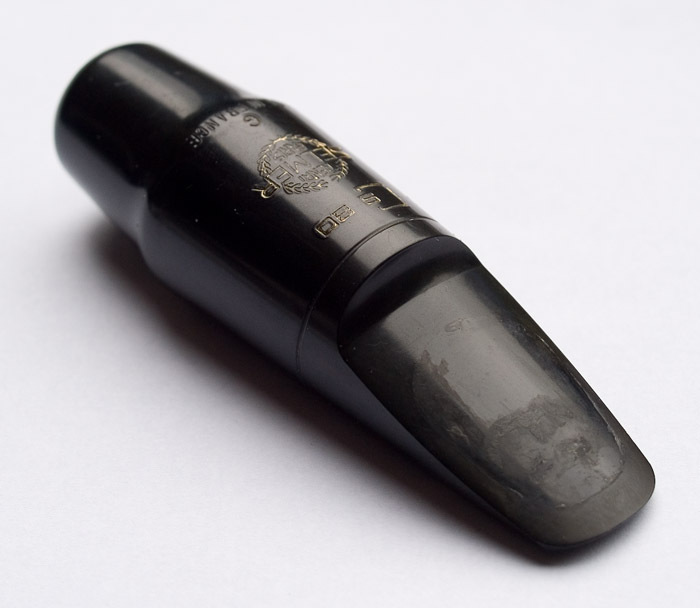 This is an easy and projective ebonite mouthpiece in the popular S80 series. 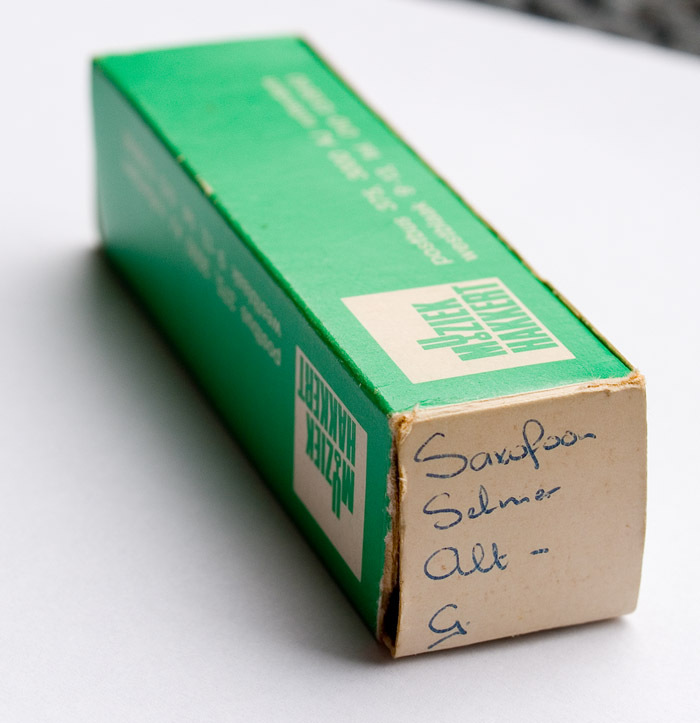 Most players start their playing on a Selmer S80 C or C* mouthpiece which are too small to play modern music. The small tip won’t allow much volume. 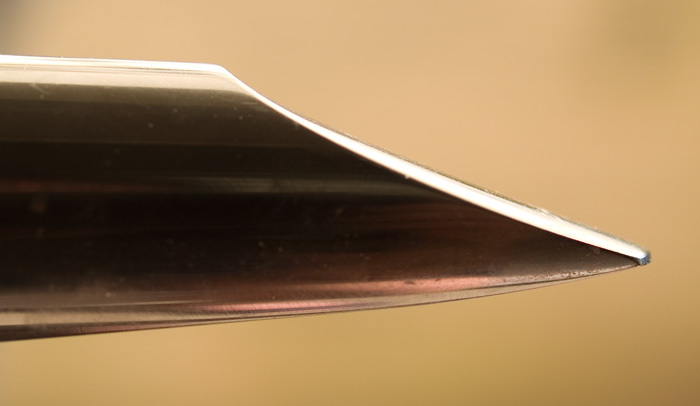 How different when you use this ebonite size G! It will give you a straightforward modern tone and IMO it suits pop and funk best. Offer Eu 45 and send me an email. RECENTLY SOLD . 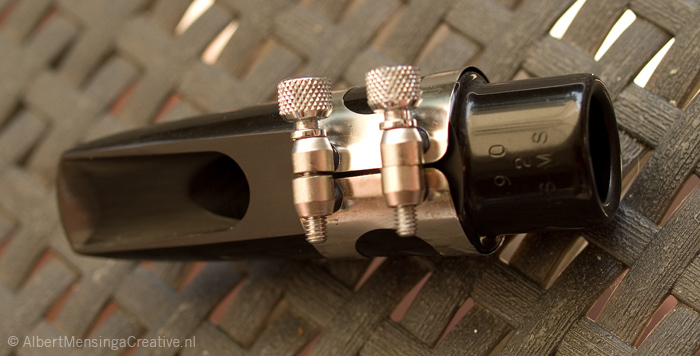 . . . . . . . . . . . . . . . . . . . . . . . . . .
As you can see on the picture this mouthpiece has a clarinet mouthpiece shape unique to the Berg Larsen design. Both Paul van Kemenade and the late Piet Noordijk played on a similar piece, although metal. Sold to a Dutch pro player who was very happy with the big sound.